Merry Christmas, Happy Holidays ,and a happy New Year. Nothing festive about the next few posts as I haven't developed any shots from the holidays yet , but I am taking the opportunity to catch up with a roll I had developed at the end of October. Bikes are still a very popular method of transportation in China, but it seems that electric scooters are slowly replacing the push bike. 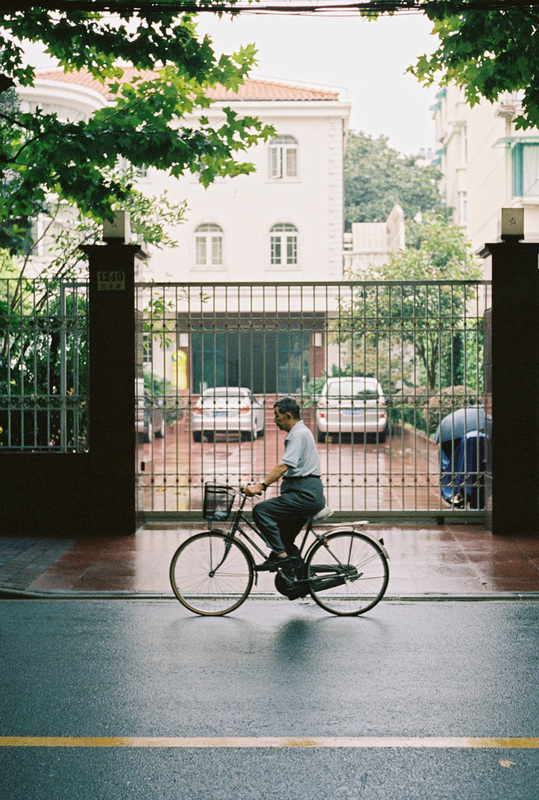 Shot on Kodak Portra 400 with 50mm Summilux or Rigid Cron ,around the Former French Concession and Yanchang Lu.